“Premium” Surface Conditioning Discs are made from stiff scrim backed material. This is our best disc for most applications, providing both Fast Cut & Long Life. They are great for deburring, blending machine tool marks, general surface cleaning, gasket removal and heavy rust and oxidation removal. 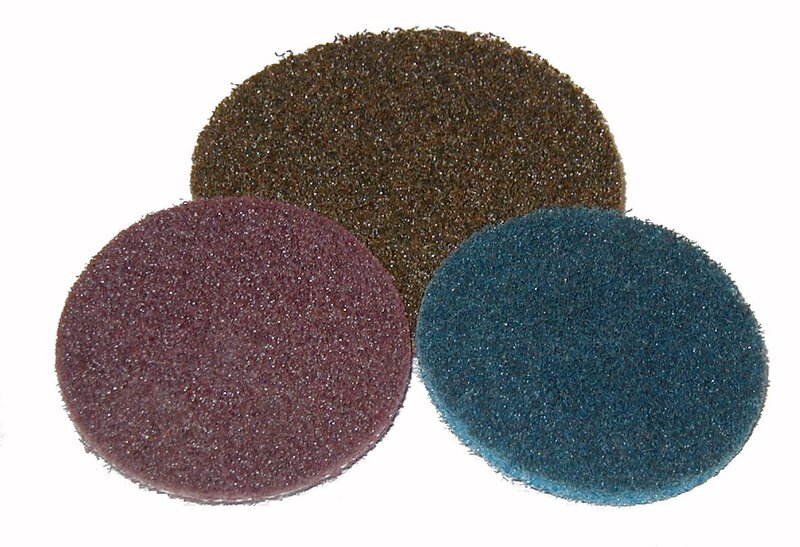 “Max-Finish” Surface Conditioning Discs are made from a softer scrim backed material. This is our best disc for precision “finishing” applications, providing fewer “stray scratches”. They are more flexible than our “Premium” product, and are the preferred choice where surface finish is the primary consideration. “HD – Ceramic” (CHD) Surface Conditioning Discs are a made with a blend of Ceramic and AO grains with additional resin for added strength and durability. This is our best disc for heavy deburring and fast cut. These discs are very stiff and aggressive, which make them ideal for heavy deburring, weld removal, and splatter removal.